On behalf of the UK Document Excellence Group (UKDEG), Tikit are pleased to announce the next Word Excellence Day which will be held on Wednesday 7th October 2015. Our hosts this year are Ashurst LLP. The UKDEG is a non-profit making organisation established in 2004 by like-minded individuals working for law firms wrestling with Document Production issues. It’s membership ranges from Trainers to IT directors, Developers to Document production specialists Members share experiences, expertise and knowhow, hear from vendors about products and services and have opportunities to share ideas with vendors. The aims of the group are to promote knowledge and collaboration, organise regular knowledge sharing and networking events and development best practice. It’s free to join and free to attend the events, but attendance at UKDEG events is by invitation only. 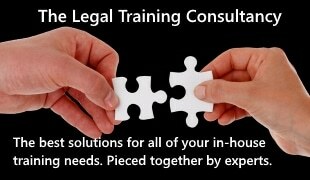 Do you have representation for your firm? Or do you know someone that would like to attend? If you know anyone that would like to attend please encourage them to become a member. There is no charge for membership and they can do this by visiting the UK Document Excellence Group website at www.ukdeg.co.uk. Invitations for the Word Excellence Day will be sent out in September and will be sent to members first. So, to ensure you get your invitation please join the UKDEG, put this date in your diary and we look forward seeing you there!